2014 was a good year and I appreciate all of y'all for being along for the ride. In 2014, I did 155 blog posts (which averages out to one blog post every 2 1/2 days)...not bad. In 2013, I had 134 different countries visit my blog and in 2014, 169 visited for a gain of 35 new countries. I have gained 347 new Pinterest followers this year; 1632 new linkedin follwers; 51 new Youtube subscribers; and 684 new g+ followers. I joined Instagram just a few months ago and already have 200 followers. On my FB page, at the beginning of January 2014 I had 5100 followers. Today, I have just over 16,000 fans. What an amazing year to gain over 10,000 fans. I am so blessed. What does 2015 have in store for us? Stick around to find out. I just wanted to take a quick moment to wish each and every one of you a very Merry Christmas. God has been so good to us this year and I hope you have been blessed as well. I know I have been blessed by having each of you as a follower. Hugs! 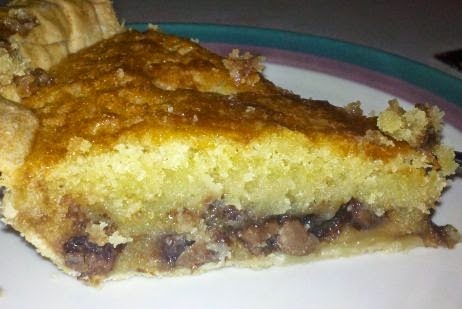 For Thanksgiving this year, I decided to try something new and made a chocolate chip pie. It was a HUGE hit. Everybody loved it. Preheat your oven to 325 degrees. Beat eggs and then stir in the flour, sugars, and butter. When it is mixed well, fold in the chocolate chips. Spoon into a pie crust. 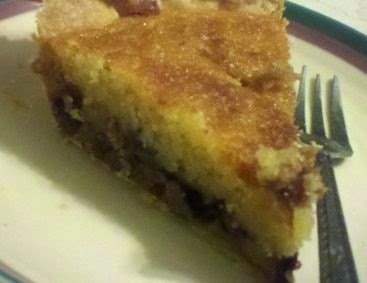 We have used a regular pie crust and a graham cracker crust and both go really well with this kind of pie. My teenage son and hubby prefer a regular pie crust but my daughter and her family like the graham cracker crust the best so you'll just have to experiment to see what your family likes best. Anyway... place in the oven and bake for 45 minutes. Remove. Let cool and enjoy. Yes I got this fan for free to review but I am not required to do a positive review. I am supposed to just give my honest opinion. So...my honest opinion is I LOVE this fan. This is not an ordinary low-output fan. This has MANY settings and a REMOTE control. Woot-woot. We had a large oscillating fan and this Tower Fan puts out more air on the low setting than the oscillating fan does on high. It is very quiet to boot and is very beautiful and not just utilitarian. It has a lovely glass base and the unit itself is only 3" wide thick and stands 44" high. There are 3 fan speeds and 9 levels of cooling. You can program it to turn off after a certain amount of time and so many other things. If you are in the market for a good quality fan, I HIGHLY recommend you considering the Ozeri 3x Tower Fan. Winter temperatures can be hard on your heating bills, but there are some steps you can take to save energy, help the environment, and put a few bucks back in your pocket. 1. Use energy-efficient drapes. You lose up to 40% of your heat through uncovered windows. Make sure your draperies are lined and hang below the window frame to insulate your windows. 2. Improve your insulation. Proper insulation saves up to 45% in energy usage, and the savings will more than pay for the cost of the materials and will cut your energy bills for years to come. 3. Cover the floors. That wonderful tile, stone, or hardwood floor looks great but can contribute to a cold room. Consider adding area rugs for heat retention and cozy feet. 4. Check your thermostat setting. If you lower the temperature by 10 to 15 degrees for 8 hours of the day, your heating bill should be 5 to 15 percent lower for the year. Is your thermostat manual? Another way to save natural resources, not to mention cash, is to replace a manual thermostat with a programmable thermostat. Using pre-programmed settings for daytime, evenings, and weekends, your savings should be about $100 per year. Be sure to turn the temperature down before leaving for vacation too. 5. Heat is often lost through the fireplace. Keep the flue closed, and consider adding glass doors to hold in the heat. 6. Let the sun help heat your home. Open drapes and blinds during warmer hours, and let the sun shine in. If you are interested in solar heat, contact your local utility company. There are substantial rebates, financing programs, and benefits to using solar heat, not to mention the sustainability of solar power. 7. Make sure the air ducts aren’t blocked or have furniture or drapes over them. 8. If your heating system or water heater is over 10 years old, consider replacing them with Energy Star appliances. The initial cost may seem significant, but over time you will more than recover replacement costs through lower energy bills. Energy Star appliances also run cleaner, reducing the carbon dioxide emissions into the atmosphere. Check with your utility provider to find tax credits for your new Energy Star installations. 9. Check doors and windows for drafts and leaks. Replacing or adding weather stripping, available at your local home improvement store, is quick and economical. 10. Have your furnace professional inspected every two years, so you are not surprised by unexpected furnace failure or repairs. Replace the filters on a regular basis. Winter should be a time for the warmth of friends and family, not for losing heat or dollars through drafty windows or inefficient appliances. Maintain your home to keep the warmth in and the cold out. Be sure to check out my most VIEWED post EVER: How a Family of 4 lives off of $1300 a month!